Patrick Melrose reaches a turning point in this amusing, emotional, satirical chapter. Warning: This contains spoilers for Episode 3 of Patrick Melrose. Not seen Episode 3 yet? Catch up with our spoiler-free review of Episode 1. After two bleak, harrowing and unrestrained episodes, Patrick Melrose takes a welcome turn towards more positive territory with its third chapter. It’s hard to believe, after the grim depravity of the opening instalment and the oppressive atmosphere of the second part’s rural family drama, but this hour is almost a straight comedy, as it turns a highfalutin party into a satirical comedy of manners. The party belongs, of course, to one of the insufferable rich people we keep crossing paths with: Sonny Gravesend (a brilliantly despicable Tim McMullan), who is celebrating his birthday alongside his wife, Bridget (Holliday Grainger). Bridget, of course, is the girlfriend we met in Episode 2, having left daddy David’s friend, Nicholas (who also makes a foul re-appearance), and married up in society to become Lady Gravesend. Grainger, who has played Bridget at both ages, is masterful, moving from hopeful and feisty to tragic and lonely, as she not only discovers that her husband is having an affair, but also has to put up with him filling their house with a host of toffs. “They’re the last Marxists,” describes Johnny (Prasanna Puwanarajah) to Patrick, with a wry wit. “The last people to believe class is a total explanation.” Johnny is Patrick’s best friend, repeatedly trying to talk him into coming to an addicts’ support group and steer him onto the straight and narrow. Of course, he’s not perfect, having an affair with Cindy, Patrick’s old flame, who is married and also tries to hook up with Melrose as the party goes on into the evening. It’s that kind of nuance that makes this episode work so well – Patrick Melrose may only be a five-hour mini-series, but the depth and light and shade worked into each character allows its tone to shift slightly every few minutes without feeling forced. Writer David Nicholls and director Edward Berger have moved between three strikingly different locations and time periods in these three episodes, and as the dark French estate is replaced by a glitzy English manor, it brings with it recognisable upper-class disdain for the lower-classes and a frisson of humour, and even a glimpse of potential happiness; the story entering the 1990s mirrors the feeling of Patrick coming up for breath after decades submerged in substances and trauma. That’s most apparent of all in the way that Patrick is no longer the most horrible person on screen, something that’s easy to belief after we’ve met his cruel father. Perhaps the worst in this episode is Princess Margaret, who is guest of honour at the party and played with acidic bitterness by Harriet Walter. Encouraged by the sycophantic Sonny, Walter’s royal family member delights in being acerbic to those she thinks aren’t worth their time – which is, essentially, everyone. She humiliates the French Ambassador when he spills sauce on her dress, commanding him to “wipe!” with a haughty authority that could kill a kitten stone-dead at 10 paces. When Bridget’s daughter, Belinda, walks in on the dinner and asks to meet the princess, Margaret dismisses her with a brutal callousness – Patrick, by contrast, is kind towards her, as she loiters in the doorway, suggesting that the girl is better off without Margaret. Bridget clearly has a similar revelation, once again deciding to leave the ghastly man in her life. Patrick, though, is the one who goes on the biggest journey here with the smallest step: opening up for the first time about his father’s abuse. He tells Johnny, not after several drinks, but while maintaining his new-found sobriety (Cumberbatch’s physical performance as a recovering addict, right down to his trembling avoidance of putting too much sugar in his tea, is delicately observed). 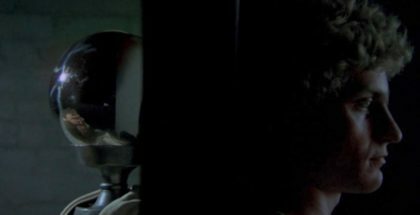 The lizard, which he used as a way to imagine himself away from his bed as a child, takes on a new meaning beyond drug-induced hallucination, but the small moment of him even revealing that begins to help expel its looming effect on his life and identity. And yet all this emotion in his monologue is undercut by laughs – proof, once and for all, of how well judged this programme’s tonal shifts can be – as Patrick and Johnny are interrupted by a waiter trying to tell them they’re the missing the fireworks. Even this, though, opens up an opportunity for more catharsis, as Patrick apologies to him later for being rude – something that would have been unthinkable for the Patrick in the first episode. Johnny suggests that he should try thinking about someone else, rather than himself, and, conveniently, this episode also features a figure who may well be that someone else: Bridget’s cousin, Mary, who sits next to him at dinner, and is played with enough kind charm to make her introduction not feel contrived or convenient. 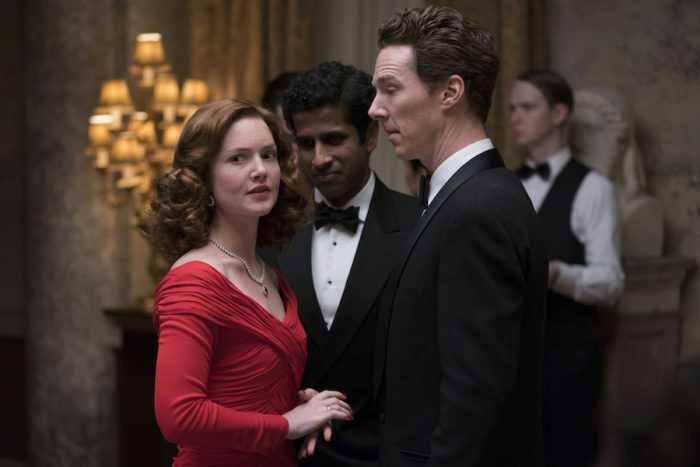 With a cliffhanger promising that they will meet for breakfast, Episode 3, for the first time, leaves the show ending on a positive note – as we cross the halfway mark, there’s a very real sense that Patrick Melrose has reached a turning point. Patrick Melrose premieres at 9pm on Sundays on Sky Atlantic, but is available on-demand before then, following a simulcast at 2am. Don’t have Sky? You can also watch Patrick Melrose online on NOW TV, which gives live and on-demand streaming access to Sky’s main TV channels, including FOX UK (Legion) and Sky Atlantic (Westworld, Billions), for £7.99 a month – with no contract and a 7-day free trial.